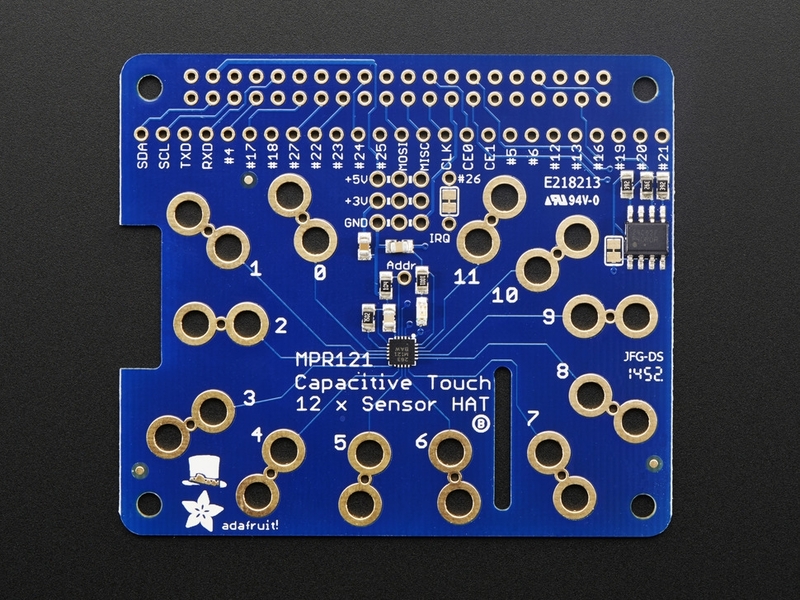 Works great with Raspberry Pi Model A+ or B+. This HAT can be used with Model A or Model B but requires purchase/soldering of a extra-tall 2x13 header instead of the 2x20 included. 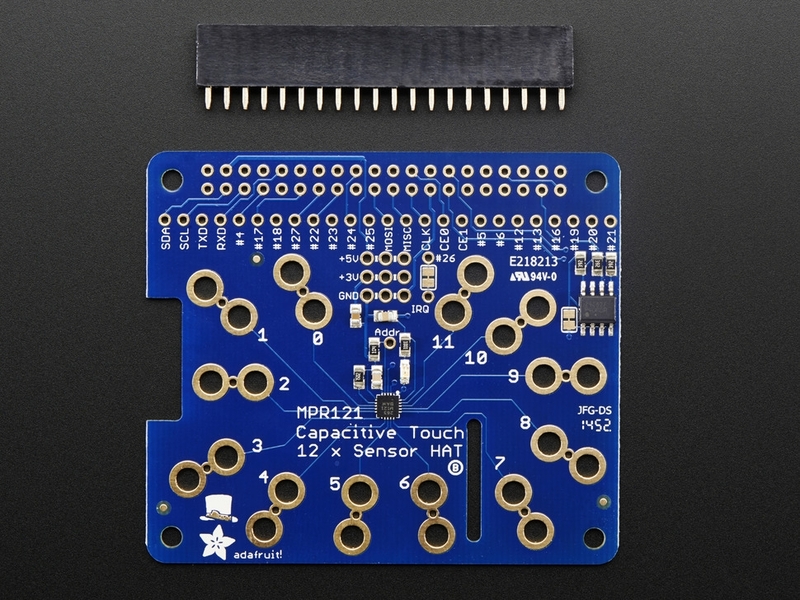 Each order comes with a Capacitive Touch HAT and a 2x20 socket header. You'll need to do some light through-hole soldering to attach the headers onto the HAT circuit board, but its easy to do with basic soldering tools like a soldering iron and rosin core electronics solder. You'll also likely want to pick up a pack of alligator clips! 57mm x 65mm x 3mm / 2.2" x 2.6" x 0.1"